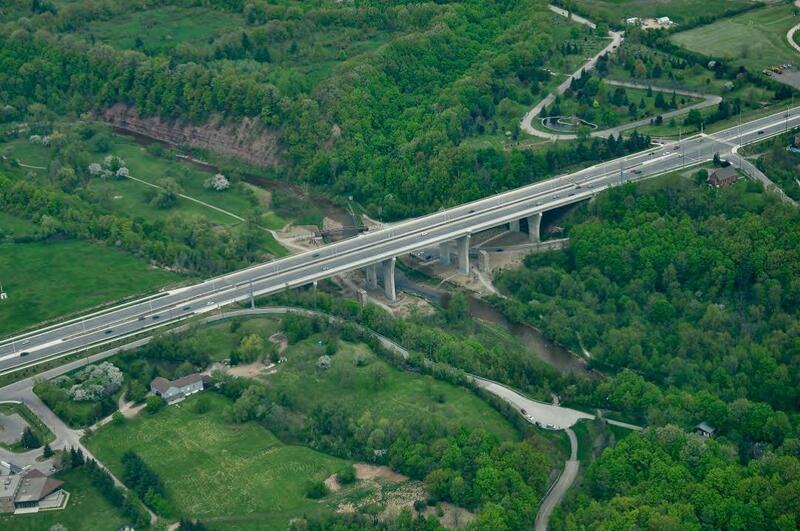 To meet the needs of a growing population, Halton Region has continued to deliver a roads capital improvement program which invests, on average, more than $120 million every year towards ongoing or new construction projects. In 2013, Halton committed $289 million to Regional roads, an increase from $50 million in 2006. Not only is investing in infrastructure important to our residents, it also attracts businesses to our region which helps keep our economy strong. Join me at Halton’s first Regional, dual-lane roundabout on Tremaine Road in Milton as I discuss the importance of investing in our transportation infrastructure. By continuing to plan for today and tomorrow, Halton Region will make sure our transportation infrastructure meets the needs of our community, while protecting the environment, today and in the future. I’m proud that our investment is helping keep Halton a great place to live, work, raise a family and retire. More than once I’ve been told by corporate representatives that they’ve chosen to locate their business in Halton because of the Region’s commitment to maintaining and improving the Regional road system. These comments have reinforced my belief that our growing Region needs an effective road system for moving people and goods to ensure our quality of life and economic prosperity. 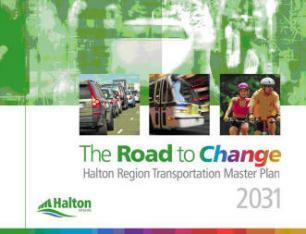 In 2011, Halton’s Transportation Master Plan –The Road to Chang e –established a 20-year, $2.4 billion capital program to meet transportation demand to 2031. A recent presentation to Planning and Public Works Committee on the Transportation Capital Program and the improvements currently being delivered and planned through 2016 was impressive. Between 2011 and 2016, segments of all 15 major Regional road corridors will have been improved to provide additional capacity and 153 kilometres of new lanes. By the end of 2016, capital improvements will have increased the east/west capacity on portions of our Regional roads by 16 additional lanes and the north/south capacity by 14 additional lanes. New active transportation facilities – by 2016, 217 kilometres of shared or dedicated on-road bike lanes and off-road multi-use pathways will have been provided as part of the Region’s Active Transportation Master Plan. The approved 2013 transportation capital budget is $289 million. This is a huge increase from the $50 million spent in the 2006 transportation capital budget . That’s strong evidence of the Region’s commitment to transforming the Regional road network, while keeping taxes low, at an average zero percent increase over the last seven years. . The Region has already completed the widening of Dundas Street fr om Proudfoot Trail to Neyagawa Boulevard, including the construction of the new Sixteen Mile Creek Bridge (at right) in the Town of Oakville. In the Town of Milton, we’ve widened Tremaine Road from Derry Road to Main Street and built a new four-lane extension to the James Snow Parkway from Regional Road 25 to Boston Church Road. Additional road improvements will be starting later this year on Tremaine Road in the Town of Milton and on Ninth Line in the Town of Oakville; and in 2014 we are scheduled to start construction on the widening of 12 kilometres of Britannia Road from Tremaine Road to Highway 407 in Milton. To stay informed about what’s planned for Halton’s major transportation corridors over the next several years, subscribe to Construction Update. Individual project information can be found on Halton’s website under Regional Construction Projects. On Sunday September 23, the seventh annual Share the Road for Greg Ride will take place in Halton Region. The ride celebrates the memory of OPP Sgt. Greg Stobbart, who was struck by a vehicle while cycling on Tremaine Road. This event does a great job to raise awareness about cycling safety in Halton Region and communities across Canada. The Share the Road ride departs from Kelso Conservation Area. Ride distances are 30 km, 50 km and 100 km. Halton’s Share the Road Program aims to educate all road and path users including motorists, pedestrians and cyclists about road safety and helps remind both cyclists and drivers that they have a responsibility to obey the rules of the road. In 2002, Halton Region installed “Share the Road” signs at various places in our road network to help raise motorist awareness of popular cycling routes, particularly in rural areas. Recently, Halton Region updated the Cycling in Halton map. This easy-to use map not only includes a bird’s eye view of the entire Region, but also recommends seven loop rides with suggested routes that include urban areas and nearby scenic, rural roads suitable for cycling. With over 300 kilometres of Regional roads we are working hard to ensure that cars and cyclists can share the road. Halton has also started to develop its first Active Transportation Master Plan to develop the required strategy, infrastructure, initiatives and programs that will make it easier to walk, bike and roll across Halton. Visit the website and provide your input help us build a better Halton. In Halton Region, we are fortunate to have a beautiful natural environment with the Niagara Escarpment, Lake Ontario and an abundance of creeks, rolling hills, open spaces and trails. Many people like to get outside and enjoy nature by hiking or cycling. If you want to cycle within Halton, we now have an up-to-date map that can help. The 2012 Cycling in Halton map is an easy to use map that not only includes a bird’s eye view of the entire Region, but also recommends seven loop rides. The loop rides (in Burlington, Halton Hills, Milton and Oakville) are suggested routes that include urban areas and nearby scenic, rural roads suitable for cycling. Riding your bike can be much more than a fun, healthy, recreational activity. You can also use it to get to the grocery store or to work. Did you know that 1/3 of all trips by car in Halton are less than 5 km? Imagine how many cars could come off our roads if some of those trips were taken by bicycle instead. Not only will it help you be more physically active, but cycling is one of the most environmentally friendly modes of transportation. Visit your municipality’s websites for more information on bike lanes and paths in your neighbourhood. Recently Smart Commute Halton hosted several Bike to Work Day events around the Region, including the First Annual City Wide Bike to Work Day Breakfast in Burlington. It was wonderful to see so many people putting their feet to the pedal and engaging in active transportation, making the most of our infrastructure. Whether you’re cycling along our waterfront in Oakville and Burlington or more northerly in Milton and Halton Hills, there’s something for everyone who wants to get outside and stay active. We starting work to develop Halton’s first Active Transportation Master Plan and I’d like to encourage you all to participate in its creation. This plan will help make it easier to walk, bike and roll across Halton and input from you will be critical. For a copy of the Cycling in Halton Map is, please dial 311, email accesshalton@halton.ca or come in to the Regional headquarters at 1151 Bronte Road, Oakville. I hope you enjoy cycling in Halton. You will see why Halton Region is such a great place to live, work, raise a family and retire. It’s summer and while many people are thinking about vacations and relaxing, Halton’s Public Works Department is thinking about construction. This year alone, we’re investing more than $670 million to upgrade, maintain and build the Region’s roads, as well as water and wastewater infrastructure. While these improvements are good news for residents, some inconvenience during construction is unavoidable. Together with our contractors we are working to minimize these disruptions. To make sure you know of Regional construction activities and possible delays, you can dial 311 or visit www.halton.ca/construction for information on Regional projects happening in your area. We’re also improving our signage around construction areas so you can better plan your travel routes. Over the next four years, Halton Region has committed to invest $1.7 billion on infrastructure because it’s the right decision for Halton. Improving your quality of life – whether it’s helping to reduce commute times or providing you with clean, safe drinking water – is a top priority. I’d like to thank all our residents and businesses for their patience during construction as we work to Build a Better Halton and encourage you to learn more about the planning and construction of our infrastructure projects from our website at www.halton.ca/construction. Working together, we can ensure that Halton remains a great place to live, work, raise a family and retire.